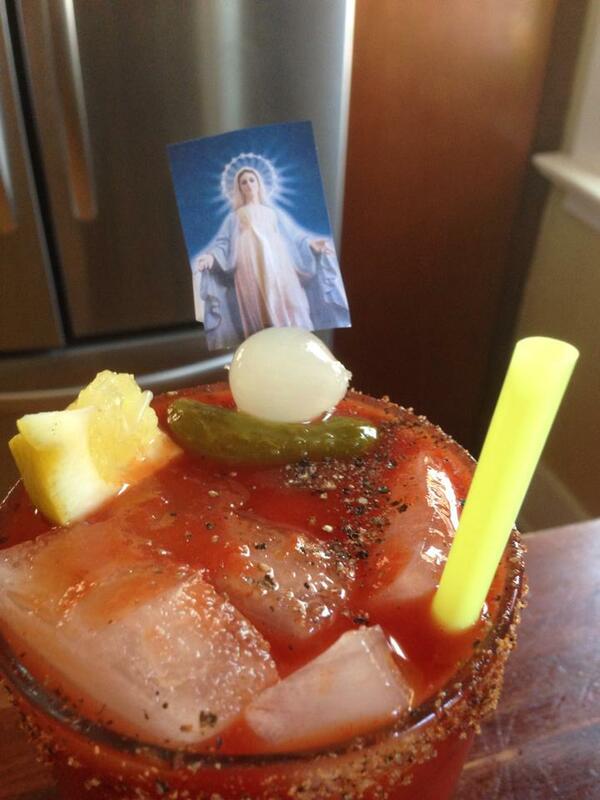 Virgin Mary drink? Why not? There are times when a full blown bloody Mary just won’t work. Maybe you have a full day ahead of you. Perhaps a long drive awaits. Or maybe you are entertaining tea toddlers or recovering alcoholics. No worries. it’s cool. Maybe you’re not looking for a classic bloody Mary recipe. These times call for a virgin Mary Cocktail Recipe. It’s 9am Stickers 8 for $2! Mixing a virgin Mary calls for a slightly different approach than a traditional bloody Mary recipe. This cocktail recipe has to fill in for the lack of booze. A virgin needs to have a little extra zip. Ask my recovering friends or, better yet, try my virgin cocktail recipe for yourself. I’ll get to the recipe in a moment. First, let’s consider a few tips for mixing the very best virgin. Thanks…been recovering for 36 years but will enjoy this for sure. Every now and then it feels and tastes so good going down. Thanks for the tips!